In 1880, town of Wilson had a population of 1475 of whom about 30% were black. 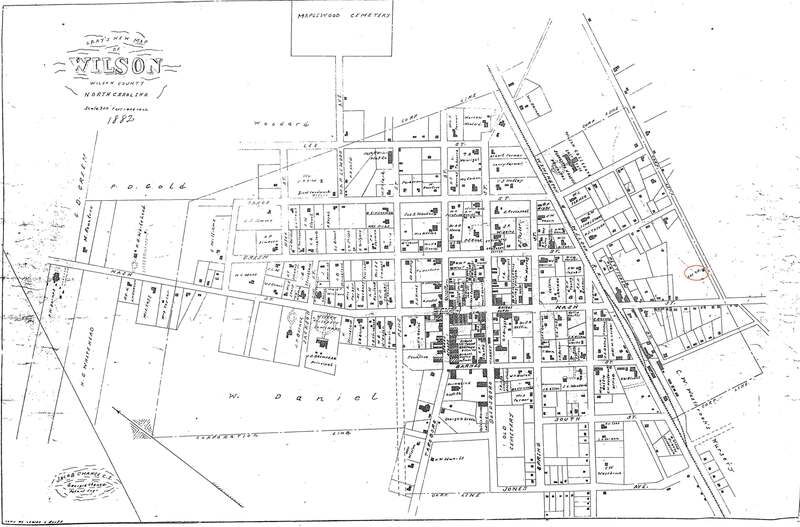 The federal census of that year split the town and surrounding township into two enumeration districts, 303 and 304, and most African-Americans were clustered in neighborhoods in 304, south of the Plank Road (east of town limits), Nash Street (within town limits) and Nash Road (west of town limits). East Wilson, as we know it today, lay more than 25 years in the future, but black Wilsonians had begun to stake claim to the area east of the Wilmington & Weldon Railroad, as shown by the presence of a “colored church” on Pender Street, probably Saint John A.M.E. Zion. ← He will attempt to pass for a free man.